Over 10 years experience, a proven strategy phase and all the tools* you might need as standard. Just a few reasons to speak with Rixxo about your Magento eCommerce project. Read about our philosophy, skills, approach to Magento stores or quickly fill our form to arrange a call. Magento Commerce is one of the world's most popular eCommerce platforms. Magento's power lies in its flexibility of customisation, a network of Magento agencies, specialists and developers around the globe and a powerful and innovative community. Scaleable and adaptable, Magento 2 is suitable for Enterprise eCommerce websites, SMEs and startups looking for a solution that will grow with their service offering and customer requirements. Rixxo develops and maintains it's own base version of Magento 2 that, when deployed, includes tools and features we expect all eCommerce websites should have. This makes your life easier as a Magento store owner, improves customer experience and reduces delivery time and costs. When it comes to online retail - We believe in a better more inclusive shopping experience. Whether you are looking for a bespoke design for your business or a simple theme that is on brand, Rixxo provides a solution to meet your need. 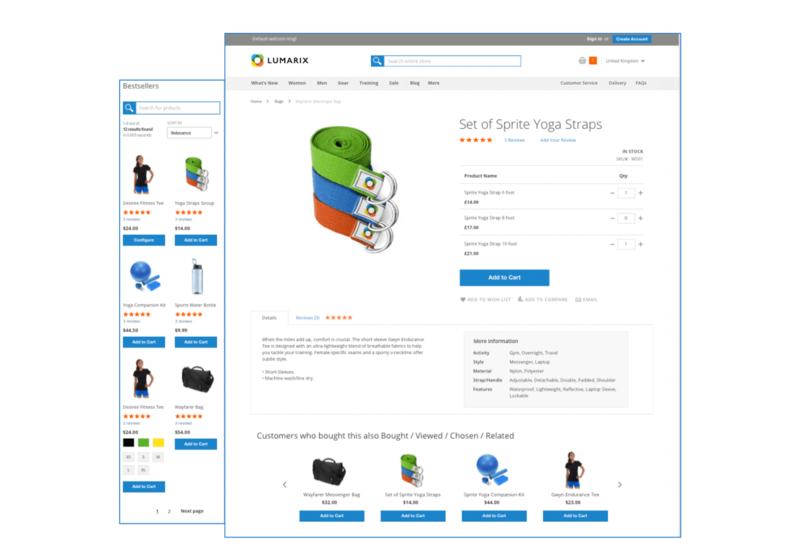 Lumarix, our customised Luma theme, contains design elements that go beyond the default and contains the proper styling and what we consider to be the missing UX features in the default design. As a base for your store and using the ATOMIC Design Method, we are able to deliver sites that meet design requirements nearly 50% faster when compared to using standard design methods. 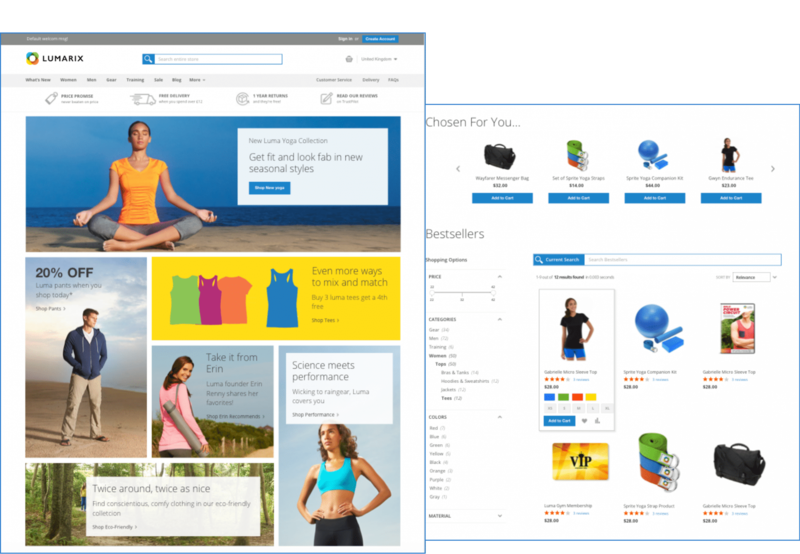 If it's a custom Magento theme you are after, our experiences and helpful team of designers, frontend Magento developers and UX experts can create rapid prototypes and develop them into a bespoke Magento theme to suit your requirements. With over 10 years of Magento experience, our Magento Certified Solution Specialists can help with audits and reviews of an existing store, offer Magento 2 upgrades and migration advice as well as help in the early stages of planning your new eCommerce business with you. All Rixxo Magento sites come with a minimum of 12 months support and hosting. This ensures your site is fast, responsive and ready to evolve with your business. Atomic design is a methodology where design elements are made in stages starting with the smallest (Atoms) and grouping them together, just like chemical elements until they become much bigger (Pages). In web design the benefits of working in this way mean atoms, molecules and organisms can be used throughout the designs maintaining brand consistency, a reduced amount of code which makes your website faster, and importantly designing and editing site designs is considerably faster. For Rixxo we have seen up to 50% reductions in site design time compared to other methodologies. 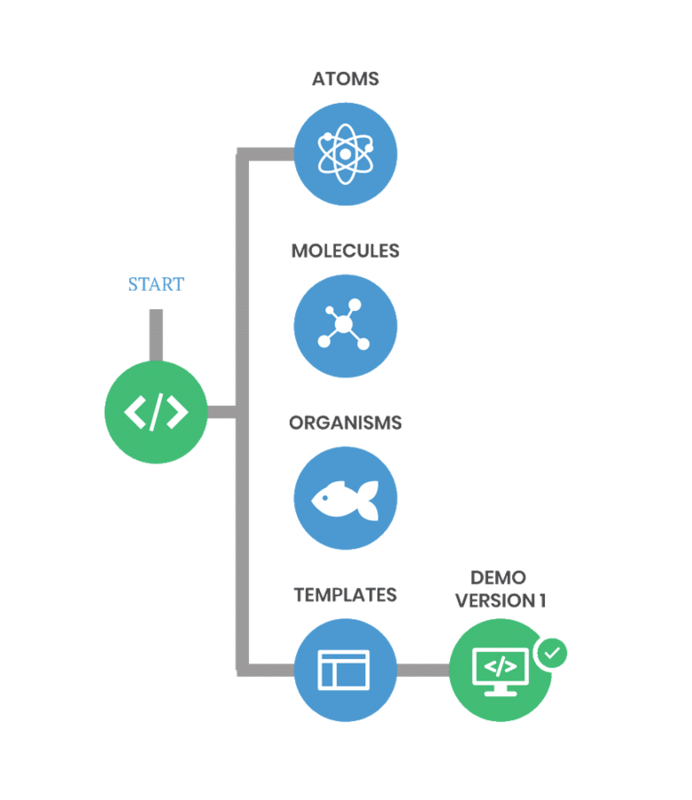 After your initial site-build, the atomic design process allows rapid prototyping of new pages, new components or the ability to quickly test out new styles, designs and user experience improvements. 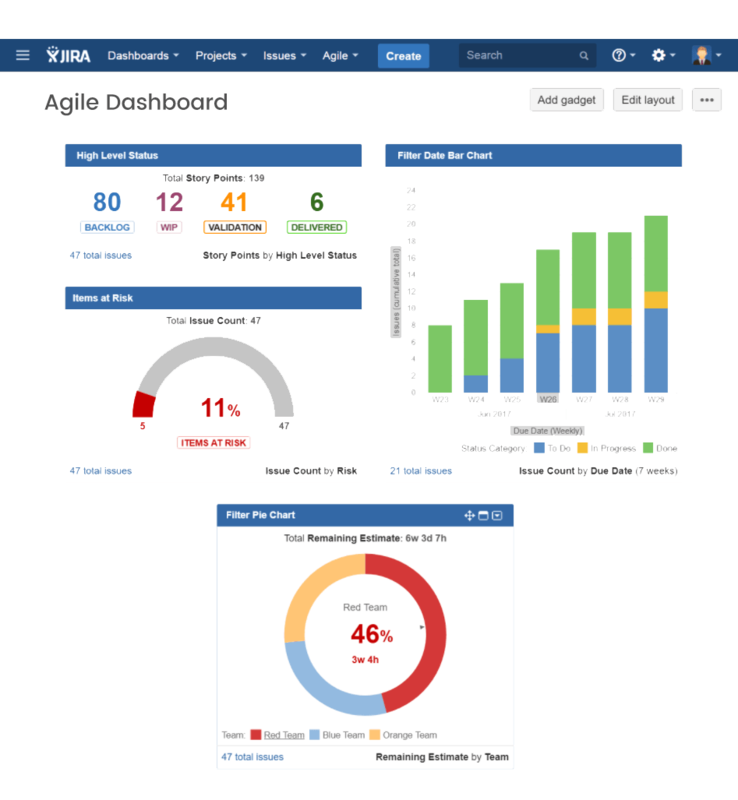 Agile is a project management method that is great for large projects with fixed budgets and deadlines. A typical project may work by checking items off a list until you are finished. This means that contingency in a project is built into time and budget. To ensure we deliver out sites when we agree, and to the price we agree, Rixxo uses JIRA to manage our projects in a more collaborative and flexible manner. 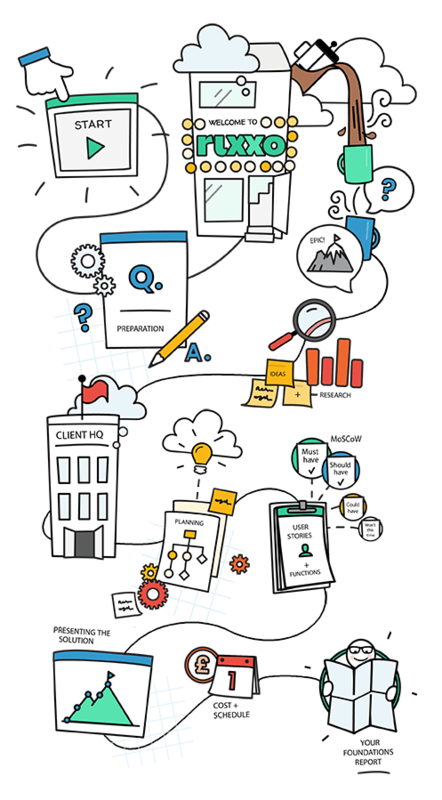 Employing several tools such as MoSCoW, Story Points and Business Value, we work with our clients to break a project down into easy to achieve, bite-size pieces. We'll know which are the most important, which will give the greatest ROI and which will take the most work. With this information, we can prioritise the workflow. Whilst working with you on a project we are never more than 24 hours away from knowing exactly what is going on. A daily standup for 10-20 minutes enables us to discuss the previous days' results, what will be happening today and when the next piece of the project will be underway tomorrow. During Foundations we'll teach you all you need to know about this project management method if you haven't already used it and by the end of this first project you'll be employing some or all of the techniques in your everyday work.